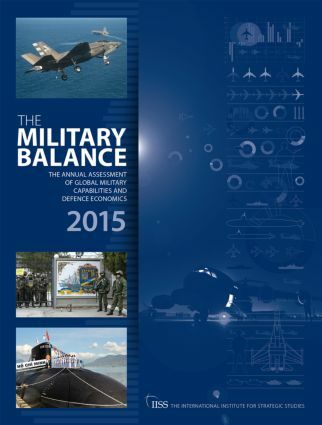 Regional and select country analyses cover the major developments affecting defence policy and procurement, and defence economics. The opening graphics section displays notable defence statistics, while additional data-sets detail selected arms orders, military exercises and deployments, as well as comparative defence expenditure and personnel numbers. The Military Balance is an indispensable handbook for anyone conducting serious analysis of security policy and military affairs. Editor's Introduction. Part 1: Capabilities, Trends and Economics Chapter 1: Conflict Analysis and Conflict Trends Chapter 2: Comparative Defence Statistics Chapter 3: North America Chapter 4: Europe Chapter 5: Russia and Eurasia Chapter 6: Asia Chapter 7: Middle East and North Africa Chapter 8: Latin America and the Caribbean Chapter 9: Sub-Saharan Africa. Chapter 10: Country Comparisons - Commitments, Force Levels and Economics Part 2: Reference Explanatory Notes. Reference. The International Institute for Strategic Studies (IISS) is a world-leading authority on global security, political risk and military conflict. It is renowned for its annual Military Balance assessment of countries' armed forces and for its high-powered security summits, including the Shangri-La Dialogue. Its mission is to promote the adoption of sound policies to further global peace and security and maintain civilised international relations.